Meneta Automotove Components Pvt. Ltd.
MENETA was established in Odense Denmark in year 1953, over the years it has established itself to be a good quality manufacturer of fine blanked back plates, noise reduction shim and shim materials. MENETA India was established in year 2007, as a 100% subsidiary of MENETA Denmark. MENETA provides a professional consulting on the right choice of products providing total services to customers. Motivated & committed professionals human resource contributes the development & production of new products. MENETA focuses on optimizing its products to meet the automotive industry requirement of efficiency, reliability and innovation. The quality is a primary focus in design, development methods of production, supply chain management to achieve the stakeholder’s values. Meneta is a worldwide organization with sales and production facilities in India, Denmark, US and China. MENETA INDIA is a 100 % subsidiary of MENETA DENMARK. MENETA INDIA is a 100% E.O.U. and OES supplier located in Sonepat and Kundli , Haryana. Research & Developments: Besides using advanced Denmark & U.S Technology, MENETA India has built & developed its own center for in-house research & development activities, thereby providing it with a solid foundation. R&D centre also conducts the rigorous tests to ensure that the highest standards are maintained in raw material & during the entire manufacturing process. Production Facilities : With top technology & equipment & modern production facilities we offer our customers punched parts with a capacity of up to 800 Tons. MENETA has opened its second state of the art plant, MENETA Automotive Component Private Limited, Kundli Haryana, India. 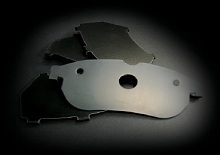 The company produces back plates and shims to be sold locally in India, Europe and to the US market. We expect to reach a capacity of 80 million Back plates and 100 million Shims at the end of this year. The Kundli plant has gone up stream and producing shims at 8-9 Million per month capacity, and steel service center is fully commissioned . On 29th October His Excellency Mr. Freddy Svane Ambassador of Denmark , visited both Meneta plants and appreciated the state of the art facilities.